Sailed only on Waloon Lake MI, USA. 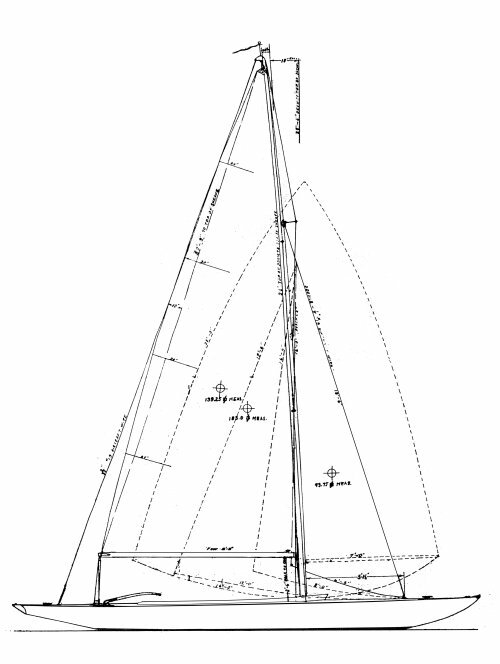 '17' refers to the fact that this boat was originally designed to the 17 sq. m (sa) rule. Fiberglass contruction introduced in 1972. Dimensions are very approximate.